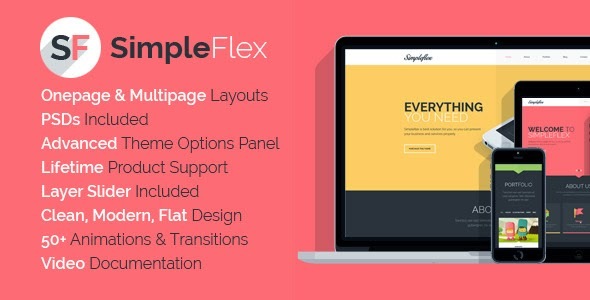 SimpleFlex is a premium, responsive & retina ready WordPress theme that comes designed with one page and multi-page layouts. With the use of its one page layouts you can make portfolio websites within few clicks. It’s unique and beautiful parallax flat design and dynamic smooth animations can easily draw your user’s attention towards your website. Install it now.